" I Sometimes Just Arrive When God Is Ready for Someone to Click the Shutter "
I have read many reviews on Lightroom workflows, from simple to extremely complex - the one thing I have not seen in these articles is how to deal effectively with the issue of keeping your family and business photos together in the same catalog and still have full control over those. While separate catalogs would work for professional photographers who keep each client in one LR catalog, for us, enthusiasts this is just not practical, we go on Holiday with our family, take pictures of our kids in one moment, and a minute later we shoot that fantastic landscape which will later be uploaded to 500px... There is no point to put these to different catalogs, it is cumbersome to have them in separate folders too, so how to keep them organised? 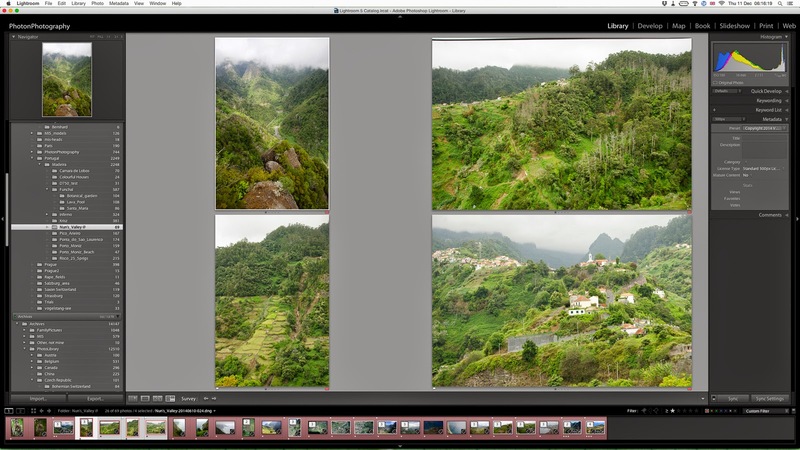 In this post I will walk you through my LR workflow. The basics of the workflow comes from Scott Kelby, he needs no introduction when it is about LR. I have made some significant tweaks though to fit the workflow to my own needs. Let's start diving into my method! 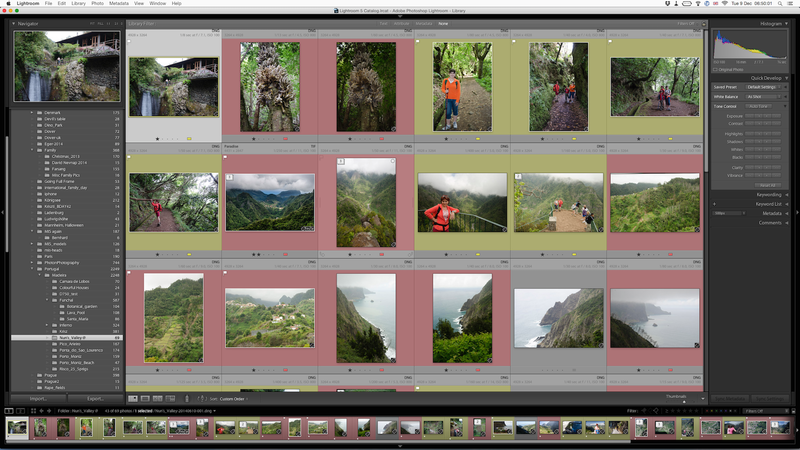 LR renders the previews, then I am ready to start sorting my pics! The very first thing I usually do after import is to auto stack my bracketed images. This can greatly simplify the mess I usually have - I take 3 exposures in all cases when the exposure is tricky, sometimes I do not need them (in this case they will be deleted after I processed the best one), but sometimes I process photos as HDR, or just want to make sure that I can blend photos if needed. I generally stack images with less than 3 seconds difference in capture time, and I am very conscious about this step, even when I shoot, I try hard to have more than 3 seconds difference between images I do not want to stack together... Now that you have your stacks, make sure that you right click and "collapse all stacks" and voila! if you are like me you have much fewer images to deal with, and they are neatly organised. Now, I usually set my bracketing order on my Nikon D750 in a way that the middle exposure comes first, so when images are stacked I can have a reasonable exposure to look at for sorting... 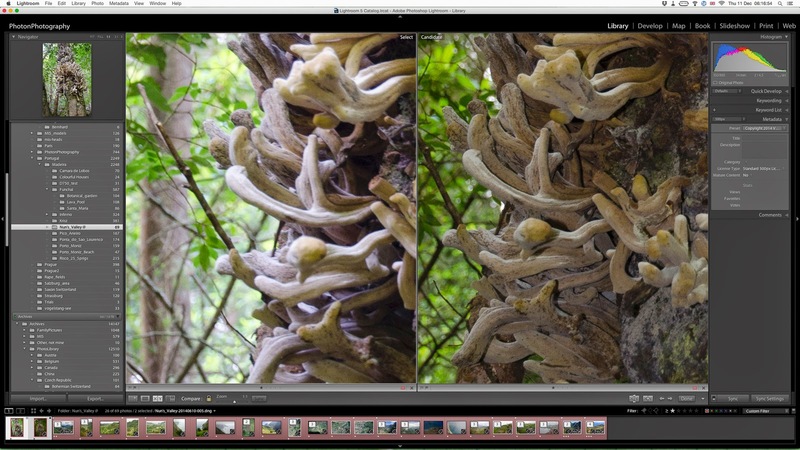 If you made a mistake not to have the right order and you see underexposed image on top of your stack just select it (you can pick multiple stacks) and press "shift-]" to cycle through the images within a stack, and move the best one to the top, so you can compare stacked exposures with the other photos. The next step is to go through your photos and mark the ones that are completely crap, unfocussed, impossible to rescue (I am sure you do not have a single one like that:-0, just press x to mark them as rejects to delete them later. Handle stacked ones the same way, no need to "unstack them", we deal with those later. As you go through the pictures, if you see ones you like then mark them one of 2 ways: if this is a family picture, your better half, your kid, pet or whatever, press "17". This will give one star and label the photo to yellow. The star means it is a "Pick", yellow means it is a family picture. Now, if you see a worthy image for your business or your hobby, just press "16" to give one star and label it red. Be generous, if something has a potential, do not forget to label it, we will do another sorting later. 3. Second round, get your "Selects"
Next, I usually deal with family pictures and "business" images separately. Use the Library filter "Attribute" and set your rating to 1 star and your label to yellow or red depending on the type of images you want to filter for. Now you can go through again the previously selected "Picks" and press "p" when you see a one you really like. These are your "Selects". Obviously try to narrow these down to the best ones, that is the idea:-) There are a couple of tricks LR gives you here. I usually like to see similar shots with slightly different angles, or different compositions together to make a decision - just select those and press "n" to see them side-by-side. On my 27 inch iMac, I can really use this mode to compare them. If you have a smaller screen, you can loop through the set one-by-one to make your selection. side-by-side by selecting them and pressing "c" (see below). Here one of the photos called a "select" the other one is a "candidate". Make your decision which one is the better, make the candidate go away, by clicking on the x in the bottom right corner, or swap the photos if you are happier with the candidate, and then eliminate the former "select" as described above. This way you will end up having one winner of your set, to which you would add as many additional stars as you like by pressing "2","3", "4" or "5". Now while 1 star simply meant that I picked this promising image from the crowd, 2,3 or more stars now designate a "winner" and these usually are relative to other "winners" in existing image sets too (quality). At this point, of course you can pick more than one winner (sometimes in great locations you have many), looking through again of your "Selects". An excellent plugin which helps syncing your metadata, ratings, flags, even develop setting from top stack member to all the stack images. If you gave a title that will be synchronised too! The plugin can be tried freely, if you decide to keep it it needs some minimal donation. Once you have synchronised them, expand all of your stacks (see above), filter for rejects, press "Cmd-A" to select all and delete them at once. Now you have a clean and organised collection. 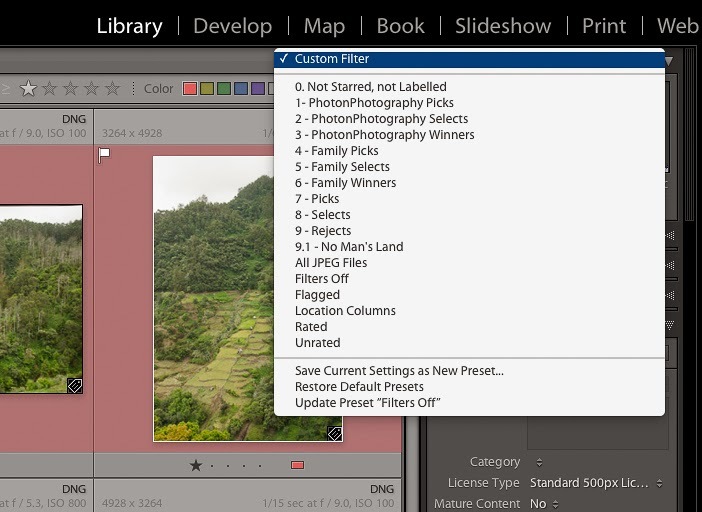 Once you set a filter using the "Attribute" panel of the Library filter, you should click the "custom filter" panel on the top right corner and click "Save current settings as a new preset". Give it a name, like I did above, and you have your filters saved for simple use in the future. You can easily get to your "Selects", Picks, Rejects, "Family Selects", etc. The really great thing about these filters is that you can select your folders on the left hand side (you can select multiple folders too!) 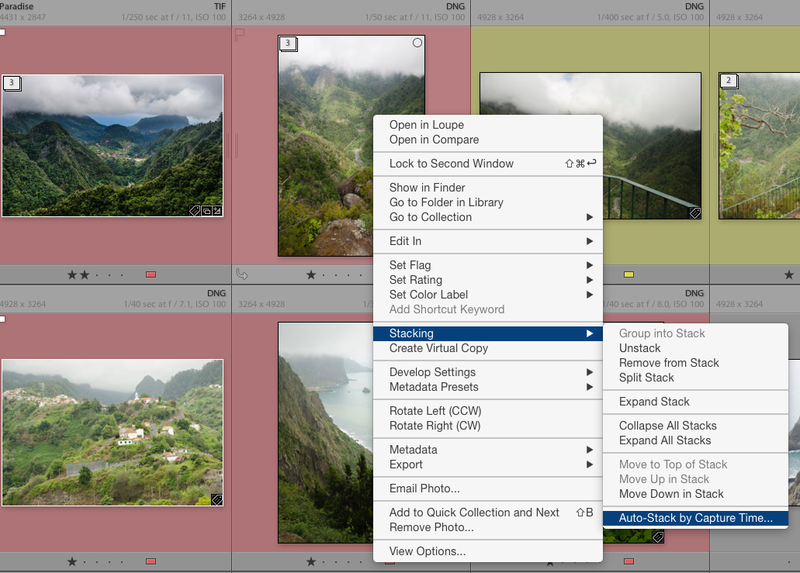 and then set the filter you have just created and you get a list of your best photos in those folders or even in your whole library, if you chosen a top level folder... You can see your family photos in these folders, or the business ones separately, or all of them together - no limits! Why not do this with collections? Why do we need folders and filters? 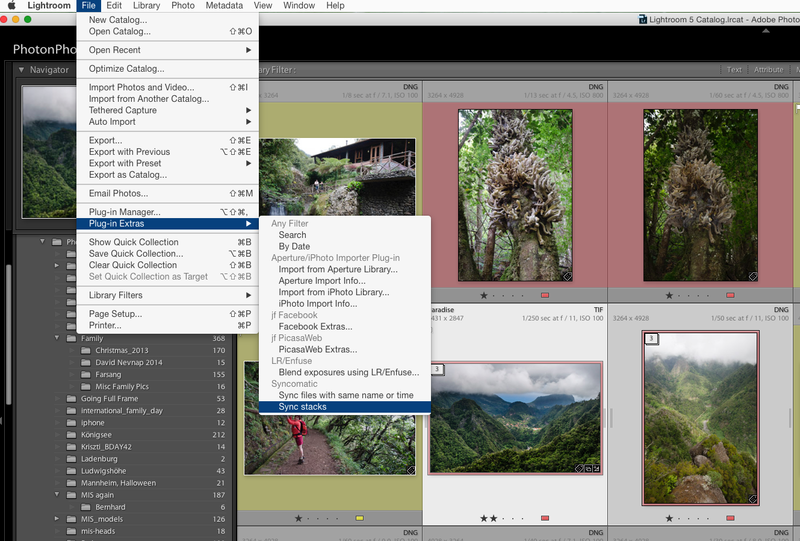 It would be simpler, you could use smart collections, and have your workflow in a more visual way. Unfortunately, within collections, you cannot have stacks... 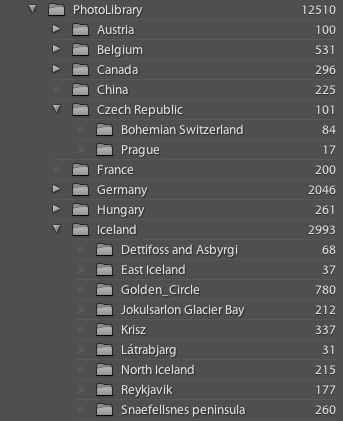 So if you do a lot of bracketed shots or just want to use stacks in your workflow, you should use folders. I hope you liked my workflow, leave a comment if you find it useful, I want to hear about it:-) See you next time! A useful post. Victor, thank you for sharing this detailed instructions. I could not deal with this alone. If you like HDR, I will share tips for Lightroom http://hdrprograms.com/. Maybe it will be useful to you. I recently started to follow these tips, and as a result I have obtained excellent photos. Good luck to you. Sometimes cleaning is not the only thing that influences your photos quality. To my opinion it's useful to edit your photos too find more to learn how. what do you think about non-professional software like online photo editors< like Pixlr or smth or mac/windows photo enhancers like Photolemur? Going Full Frame with the D750, Part II.